Boca Raton is one of the most requested cities in South Florida when it comes to real estate. The reason is simple since the city offers safety, luxury, peace and some great entertainment. If this wasn’t enough we also have some of the most beautiful beaches and parks. If you’re looking for a property that is reasonably priced and offers high end living on the beach then Admirals Walk is the one for you. Located right on Ocean Blvd with few steps from the beautiful Atlantic Ocean stands a 4 point star white building known as Admirals Walk. The building was built in 1974 so is a bit older when comparing to new skyscrapers that are being built every day in Miami. But you won’t get the serene peace and quiet anywhere else like you would in Boca. The great news is that the building went through a complete renovation both in and out. The exterior and balconies have been completely renewed, they added a new pool, hurricane impact windows, and improved other areas as well. It is also good to note that the way the building is constructed each resident gets an amazing view of the ocean and the Intracoastal. The building has 19 stories with 68 total units that have about 1900 to 2400 square feet in size. Typically there are about 2 to 3 units on the market at the time and each will vary greatly in their interior design due to personalization. Average cost is going to be between $700,000 to about $1 million depending on which floor the unit is at and the level of renovation done. 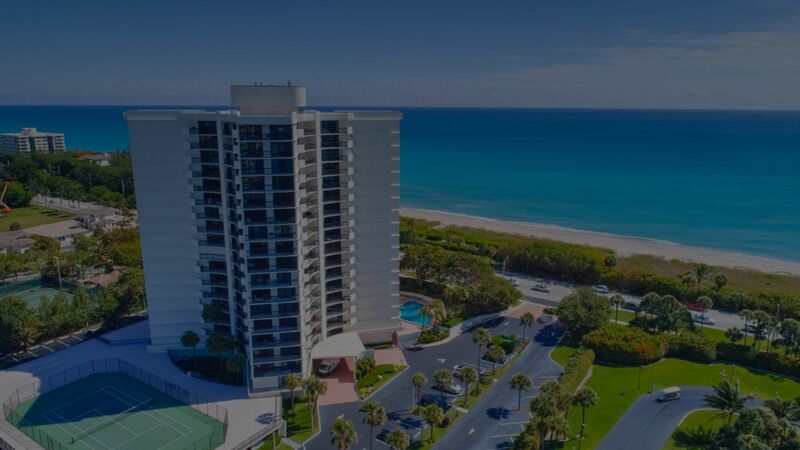 Not only is the building walking distance away from the beach, Spanish River Park and Gumbo Limbo Nature Center but you are also a 5-minute drive from downtown Boca. Where you will find a nice area known as Mizner park that is full of fine dining, boutique stores, IPIC movie theatre, and sports bars. A little further west is the big and luxurious Boca Mall and Boca Executive Airport. In short, there are a ton of places where you can take your family out for a good time. Admirals Walk is quite unique since its one of the few places where you can get a property by the beach for under $1 million dollars and in such a great city. As mentioned before they are usually between 2 to 3 units being actively listed so you can browse the available selection below. However, if you don’t see anything please use our sites search capability to see similar condos in the area. You can also give us a call and we will send you a very comprehensive list of properties that will suit your needs. Here at Chance Realty, we have decades of experience and happen to live in Boca so we know ins and outs of this city. Welcome to Chance Realty!